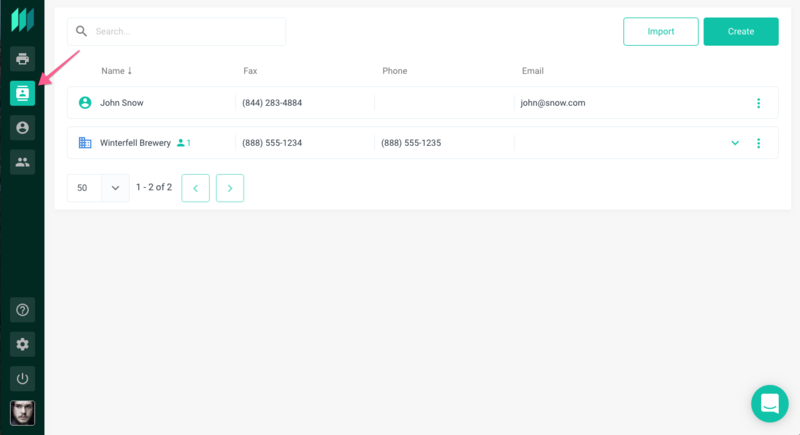 The contacts module can be accessed from the main nav by clicking the contacts icon. 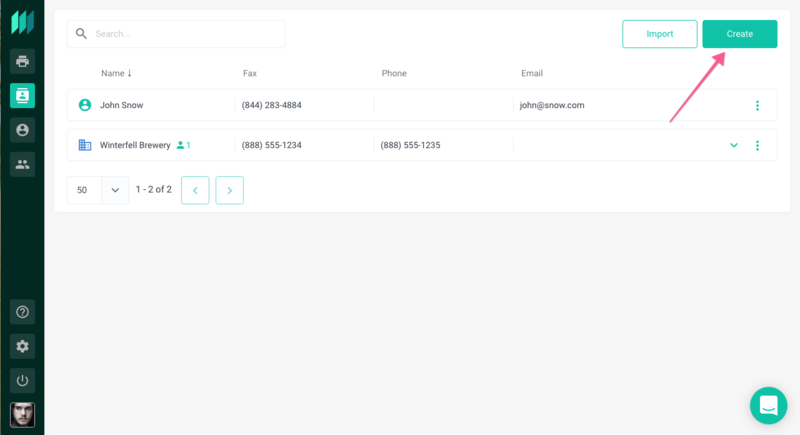 To create a single contact simply click the "Create" button and enter the requested information. 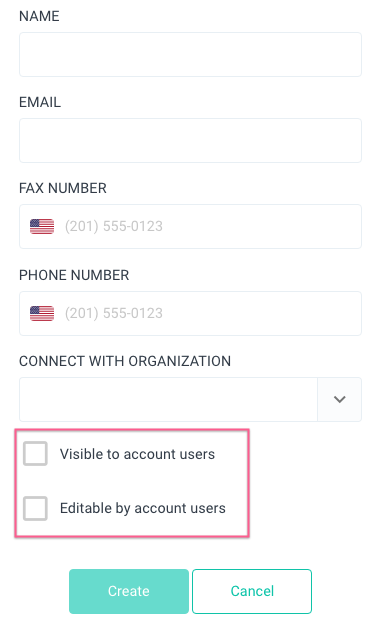 You will have options at the bottom of the contact record allowing you to keep the contact private to your user or available for anyone in the account to see. The same goes for being able to edit the contact. 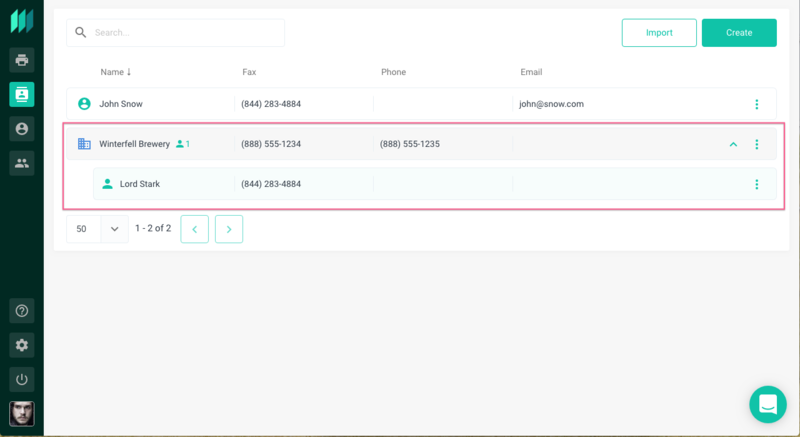 Contacts can be created/uploaded in bulk via CSV file by clicking the Import button and following the instructions. You also have the ability to create organizations as contacts. Once an organization is created you will have the ability to associate contacts to that organization. 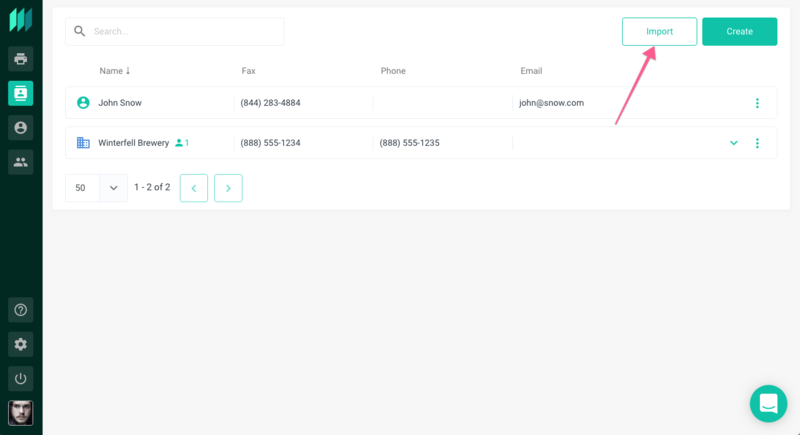 Contacts that are connected to an organization will then be nested under that organization for easier access. A search box is also provided on the page. 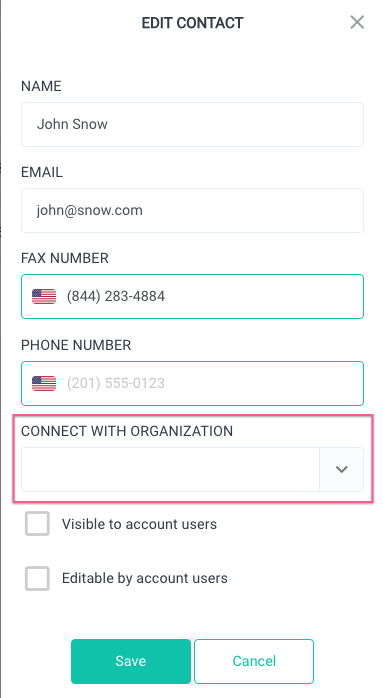 Contacts can be accessed from both the send fax screen as well as when faxing utilizing the print to fax driver.